Vegetable Dishes There are 18 products to choose from. Takeaway Lanzarote - Restaurants Puerto del Carmen Chickpeas cooked with tomato, onion and spices sauce. Takeaway Lanzarote - Restaurants Puerto del Carmen Lentils with copped onion, tomato, spices and creamy sauce. Takeaway Lanzarote - Restaurants Puerto del Carmen Vegetables with cream, walnuts, milk, wine, almonds and pistachios. Takeaway Lanzarote - Restaurants Puerto del Carmen Cooked lentils with spices and touch of butter. Takeaway Lanzarote - Restaurants Puerto del Carmen Cooked vegetables in a mixture of spices. Takeaway Lanzarote - Restaurants Puerto del Carmen Fresh mushooms with curry sauce. Takeaway Lanzarote - Restaurants Puerto del Carmen Vegetables in special sweet sour sauce with lentils and pineapple. Takeaway Lanzarote - Restaurants Puerto del Carmen Cauliflower, potatoes with spices, cooked with curry sauce. Takeaway Lanzarote - Restaurants Puerto del Carmen Potatoes with spices, masala and curry sauce. Takeaway Lanzarote - Restaurants Puerto del Carmen Fresh spinach and homemade cheese with spices. Takeaway Lanzarote - Restaurants Puerto del Carmen Vegetables cooked with fine blended spices, peppers, fried onions and tomatoes. Takeaway Lanzarote - Restaurants Puerto del Carmen Peas and homemade cheese with spices. Takeaway Lanzarote - Restaurants Puerto del Carmen Home made cheese cooked tomato, onion with mild spices topped with cream. 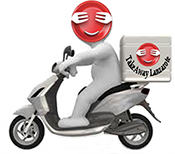 Takeaway Lanzarote - Restaurants Puerto del Carmen Homemade cheesewith cream, butter and spices. Takeaway Lanzarote - Restaurants Puerto del Carmen Mixed vegetables with cream sauce. Takeaway Lanzarote - Restaurants Puerto del Carmen Vegetables balls with curry sauce. Takeaway Lanzarote - Restaurants Puerto del Carmen Potatoes and green peas in curry sauce.